Last summer I took a quilting class and some of the students brought in these cute older/vintage Singers. I was a little shocked to see them using them. So the first chance that I had I befriended a gal and started asking her all sorts of questions. 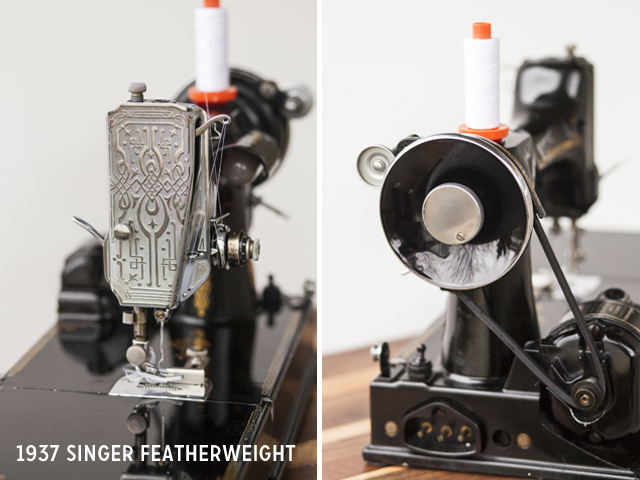 What a learned was that these Singer Featherweights sew the straightest stitch and only weigh 11 pounds! When I got back to a computer I dived into researching these little treasures - I found that they ranged in price based on year and condition. There were several on Ebay, Craigs List and Featherweight websites. It was a little overwhelming so I put the search on hold. And I really couldn't justify having another machine when I already have the Janome 7700 and 3160. Fast forward to January our quilt guild is hosting an all day sew and several gals brought their Featherweights. This reignited my desire to have one - must find a gem! Of course what I really wanted to happen was I wanted to inherit one from family. I called family members and to my disappointment we didn't have any in the family. Two Treadles that I will inherit eventually but no Featherweights. So it was back to the internet - Ebay and Craigs List, plus letting people know in the guild that I was looking to purchase one. Ebay was a little scary since you can't test the machines out but it was a good place to see what the final bids were. They were ranging in price from $350 to $600+. After some research I was also able to determine that I wanted a 1940s or older, with the Egyptian scroll faceplate. When this one - 1937 Singer Featherweight was listed on Craigs List I jumped at the opportunity to go and check it out. The gal you had it listed is a seamstress by trade and tinkers in her free time fixing these treasures up. I was able to look at three different machines and decided that the 1937 beauty was coming home with me! I paid $370 without the carrying case. The case was not in good shape and I didn't want to deal with refurbishing it. I knew that I could order a reproduction one for $65. I also ordered some extra bobbins and a qtr inch piecing foot. 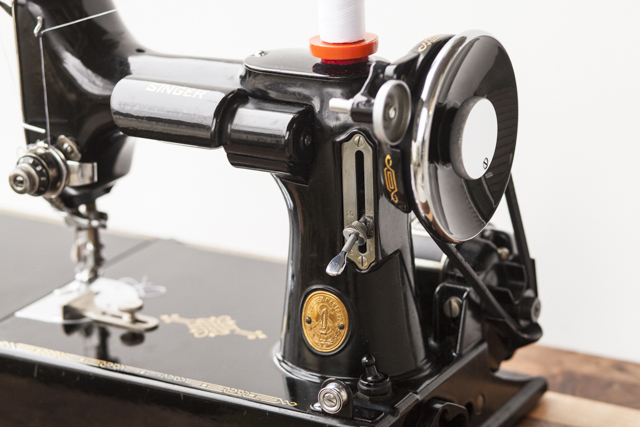 She sews like a dream! It's kind of funny how I need to re-learn some old sewing habits like holding the tails and starting the fly wheel. Brought back memories of my mom teaching me how to sew. Now that I have her home I can see why some gals have SEVERAL of these! I want to find one of the white models, tan version and maybe one more black one... Oh and her name - Sono after my grandmother. oh you will so enjoy your Featherweight, Paula! She looks just like mine (affectionately named Fiona!) and I adore using her. 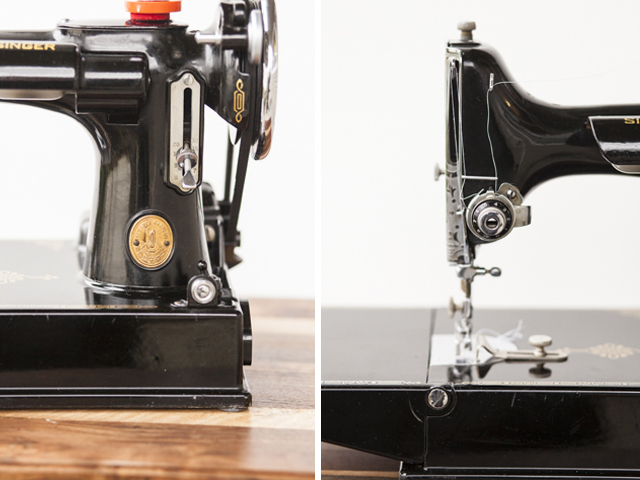 They are little work horses and as you found- sew the straightest, best stitch around. Happy piecing!! It looks great! Glad you found such a great one. Isn't it funny how sometimes progress isn't really progress. 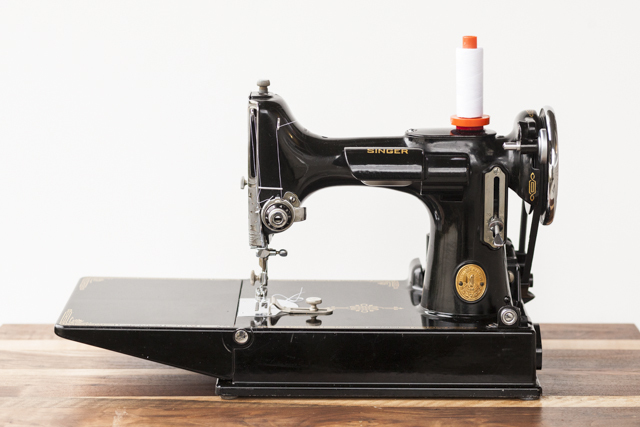 I think i have a featherweight similar to this machine but I'm not sure. It looks very close and has a metal serial number plate with AE 665490. It is in a curved lid wood case and I have little green boxes and a light attachment too. I'm trying to find out what I've got and what it's worth. Any input is appreciated! !